Beyonce just announced that she is releasing a 4-disc “Platinum Edition” of last year’s self-titled album. The new edition is due November 24,2014 and will have the two brand new songs “7/11” and “Ring Off” as well as four remixes! The remixes include recently released remix “Flawless” featuring Nicki Minaj. The 4-disc edition will also include a DVD of Mrs. Carter Show World Tour. Beyonce performing on her world tour in 2014. Over the weekend, there was a fake music industry memo leaked that announced a Beyonce sequel that would include 11 new tracks; however, as of now this is all but true. Check out Beyonce’s song “Mine” featuring Drake from Beyonce’s self-titled album in 2013. Feel free to sing along! Queen “B” is at it again! All the gossip and rumors about Beyonce’s marriage, photoshopped pictures, and possible new pregnancy haven’t seemed to phase her one bit…. 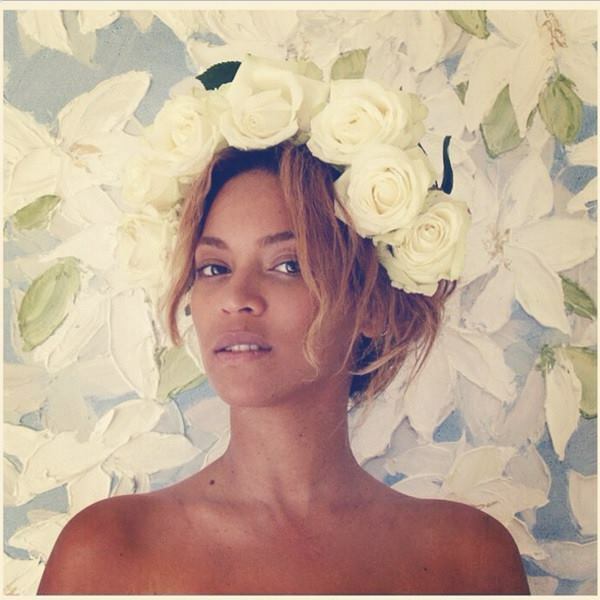 Over the weekend Beyonce posted a picture on her personal Instagram account with seemingly no makeup on her face and wearing nothing but a rose crown on her head! This is the second time this year that Beyonce has posted a “no makeup selfie”. Could she be responding to all the backlash she has been getting for her possibly photoshopping other pictures on Instagram? The reasons don’t seem to be quite clear! However, Beyonce does look simply beautiful in her selfie with no makeup on. The pop star seems to still be at the top of her game at the age of 33! What do you guys think? Does “Queen B” still have the same appeal as she did in 2003 when she released the single “Dangerously in Love” ? Beyonce released the single just a year after departing from the famous girl- group “Destiny’s Child”. The song propelled Beyonce into a solo star as it became a worldwide hit! Doing some karaoke to “Dangerously in Love” is SURE to turn up your Monday! Two days after the release of security footage showing rapper Jay Z allegedly being attacked by his sister-in-law Solange Knowles in a hotel elevator, we’re still in the dark regarding the nature of the dispute. On Monday (5/12), TMZ released the footage obtained from The Standard Hotel showing what appears to be Solange Knowles, sister of mega-star and Jay Z’s wife, Beyonce Knowles, punching and kicking the iconic rapper as he keeps his hands up in defense. Solange continues the assault even after being grabbed by a security guard. Though no one has come forward to state what caused the altercation, the family feud has apparently simmered down to some degree as the troubled in-laws were spotted shopping together in a jewelry store (Mr. Flawless) in New York City yesterday (5/13). According to sources, the pair were cool, calm, and collected as they browsed the high end shop in the famed NYC Diamond District in silence for around 20 minutes. So have they patched things up, or did they just not want to fit the bill for trashing the place? Bey shocked the world with the surprise release of her visual album in December. Beyoncé is female-centic; it contains messages of feminism, expresses vulnerability, and proudly embraces sexuality. The video for her single “Pretty Hurts” officially premiered on TIME.com a few days ago. Her passionate calls for self-empowerment through topics such as love, beauty, and motherhood place her as a prominent voice concerning women’s roles in society and pop culture. In terms of business, she seems to be writing the playbook on innovations in the music industry. She holds the title for the fastest-selling album in iTunes history. It makes sense that others are considering employing her strategy. At one point it was believed that Mariah Carey may use a similar approach with the release of her upcoming album. But not everyone is a part of the BeyHive. Bill O’Reilly has been highly critical of her new music. Known for always vocalizing his opinions, Bill scrutinized her single and video “Partition” and found it laughable when Russell Simmons referred to it as art. It’s no surprise that he disagreed with TIME placing her on their annual list. He recently ranted about the “negative influence” she may have on young girls especially in the African-American community, citing issues of teen pregnancy. ‘Tis the season for music festivals! All across the country artists and fans are gearing up for summer shows. There are numerous festivals to look forward to this year such as Bonnaroo, Summerfest, Hot 97’s Summer Jam, Lollapalooza, and The Governors Ball. 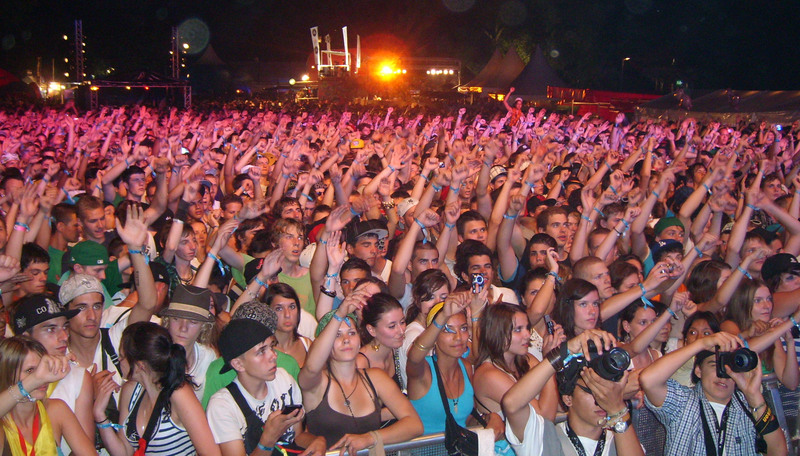 Whether you are a fan of hip hop, edm, indie-rock, country, or folk, there is a festival for you. Coachella kicked off the fest mania this month and though considered one of the best there seems to be something missing- female acts. Thousands of music lovers raided Indio, CA for the Coachella Music Valley and Arts Festival. Outkast, Muse, and Arcade Fire headlined the three-day, two-weekend festival. There have been numerous conversations about the lack of female representation at Coachella and other major festivals. According to Buzzfeed since its inception in 1999 only about 16% of the total bill are female-driven acts. Statistics go on to show that there has never been a year with more than a 25% lineup of female artists. Björk seems to have achieved the impossible when she headlined in 2002 and 2007. Besides Bjork only two groups, Portishead in 2009 and Arcade Fire, place females in the headlining slot in the history of Coachella. How can a musically diverse festival be so one-sided in terms of gender? There were some memorable moments from women at Coachella this year. Beyoncé made a surprise cameo during Solange’s set. The crowd went wild as the two sisters danced together through smiles and big hair. Lana Del Rey debuted her new single “West Coast” during her set. The performance created a positive buzz and anticipation for the release of the studio version. In addition Lorde, BANKS, and Jhene Aiko all put on impressive shows displaying their promise and potential. But the question still remains: Will female acts remain underrepresented at Coachella? If you won’t be able to attend your favorite artists set at a festival do the next best thing- put on a show of your own! Download the songs you love from Karaoke Cloud and get Sing-N-Jam, a karaoke mini-mixer that allows you to sing, play your guitar or keyboard, and record!